Product prices and availability are accurate as of 2019-04-09 09:22:01 EDT and are subject to change. Any price and availability information displayed on http://www.amazon.com/ at the time of purchase will apply to the purchase of this product. Achieve a striking look in the sleek design of the Calvin Klein® Kason. Leather upper. 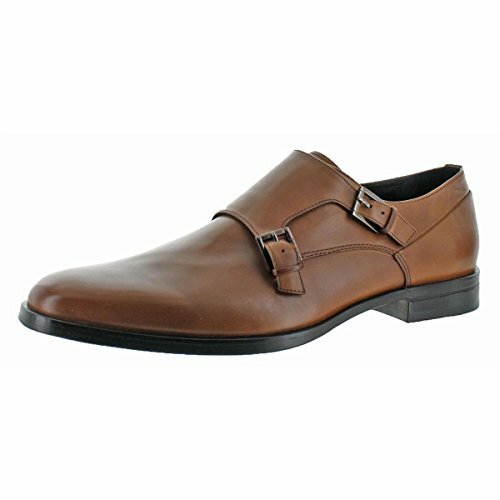 Monkstrap with dual buckle closures. Plain toe. Leather and synthetic lining. Lightly padded footbed. Stacked heel. Leather and rubber sole. Imported. Measurements: Weight: 1 lb 2 oz Product measurements were taken using size 9, width M. Please note that measurements may vary by size.